Started this discussion. Last reply by ina centaur Jan 18, 2010. Started this discussion. Last reply by ina centaur Oct 13, 2009. Started this discussion. Last reply by ina centaur Apr 23, 2009. FINAL PERFORMANCE - 1 PM PDT ON APRIL 18! 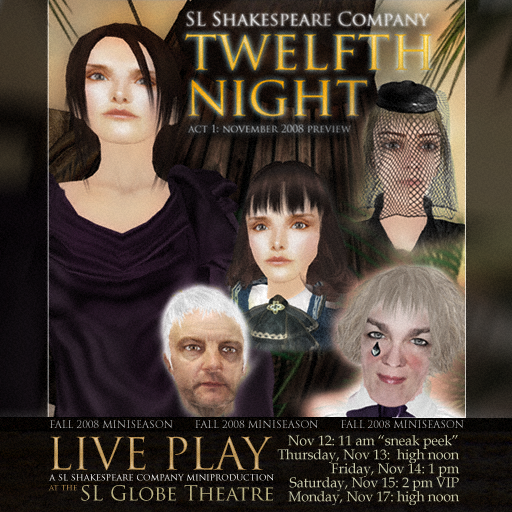 Yup, April has come -- and we were crazy enough to put on an open-ended run of Twelfth Night via Popular Cultures Analogues (playbill recast below) ... and we will now be presenting VARIATIONS. Thanks, Ina. I look forward to the experience. Thank you for the invitation Ina. We've yet to meet in SL, hopefully we'll be able to do so soon. Thank you Ina. Can't wait to see what transpires here. I was thinking more of the written language. When I was last browsing at the bookstore, I noticed that so many of the new editions simply the language to make it more accessible. I feel that weakens the original meaning. Hi Ina! I'd be happy to keep the group apprised of what we're doing....the next thing is a discussion of "Midsummer Night's Dream" on June 15th. I was looking for an Announcements page, but don't see one....do we have anything like that? 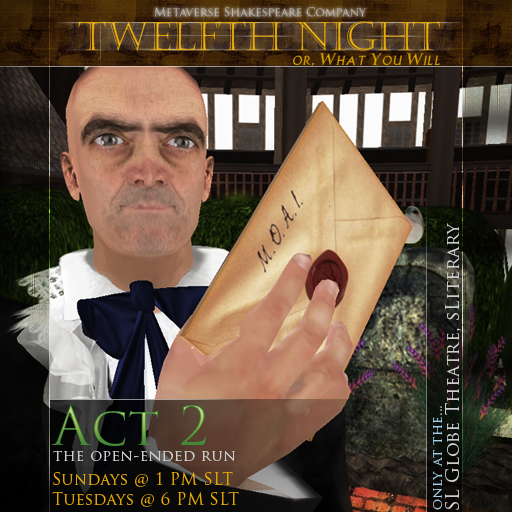 You need to be a member of vShakespeare to add comments!